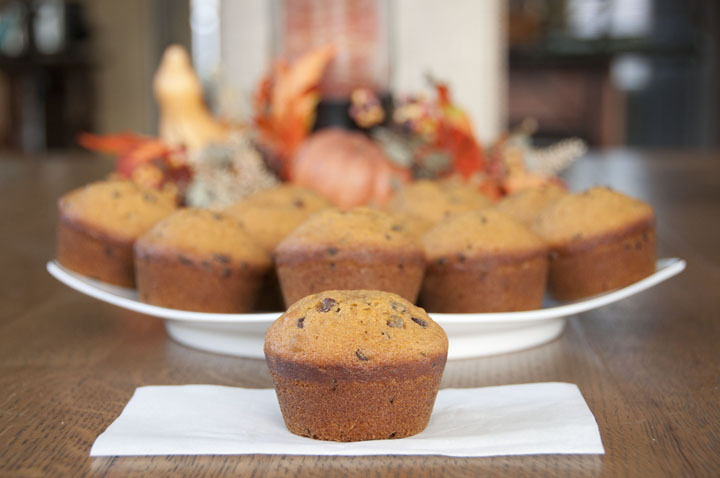 This dense Pumpkin chocolate chip muffins recipe uses canned pumpkin, spices and are loaded with mini chocolate chips. They can be made any time of year, but are especially good during the fall! Well, I am over here enjoying sunny, 82 degree Florida and these pumpkin chocolate chip muffins right now for a family vacation with Mr. Wishes’ family. The plan is to go to Disney World for Mickey’s Very Merry Christmas Party later this afternoon and I’m SUPER excited, to say the least. The word “excited” doesn’t even cut it. If you’ve been following my blog for any amount of time now, you know that I am in love with all things Disney and it’s my favorite place in the world. I’m also obsessed with Christmas (I already decked the halls at my house as my tree has been up for 2 days! ), so when you combine it with Disney I’m just overwhelmed with excitement. Though it doesn’t feel too fall-ish here as far as weather goes, I’m sharing a fall recipe with you today. Are you pumpkin’d out yet? Good, because neither am I! 🙂 I’m getting there….but not quite there yet. These muffins would make an excellent Thanksgiving morning breakfast. My banana crumb muffins are an excellent choice, as well. I really feel that using the mini chocolate chips was best because each bite had the perfect amount of chocolate in it. 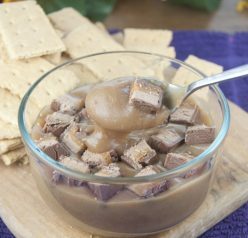 That being said, I know I probably only speak for myself when I say I don’t like an overwhelming amount of chocolate in my desserts. Anyone else? By the way, this makes a LOT of muffins so it would be best to make if you’re having company over or bringing to a party. I brought them to a breakfast-themed night at my church’s small group that I’m a part of and they all vanished. I also brought these cinnamon sugar pumpkin donut muffins that disappeared quickly. 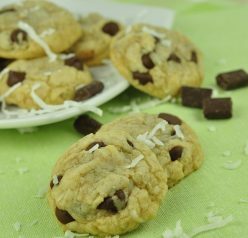 OH, you can also use half applesauce and half oil to make these a bit healthier if you wish to! 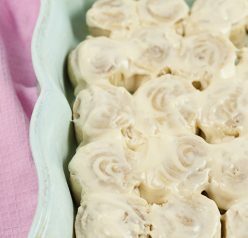 I have tried making then with applesauce and they tasted wonderful. Enjoy! 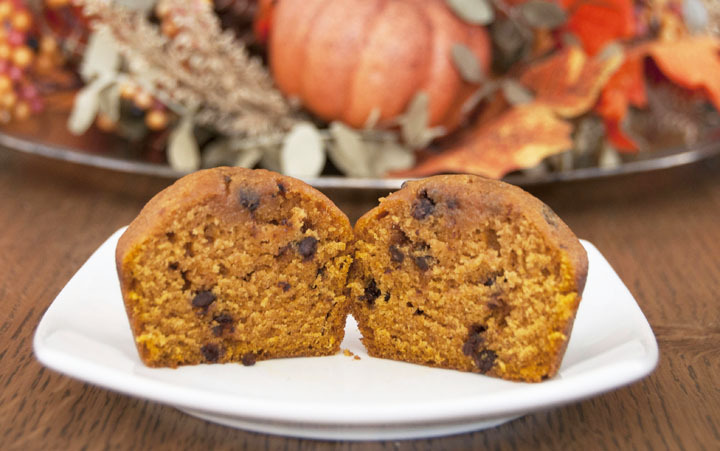 These dense Pumpkin muffins use canned pumpkin, spices and are loaded with mini chocolate chips. They can be made any time of year, but are especially good during the fall. Mix dry ingredients together in a separate bowl and then and slowly mix into pumpkin mixture until combined. Fill greased or paper-lined muffin cups ¾ of the way full. Bake at 400 F for 16-18 minutes. Mine were done right at 16. This made about 30 muffins for me. I love how fluffy and light these look! Seriously, I just made chocolate chip pumpkin cookies last night and have to post them. I will now be dreaming about the cookies in muffin form! No! I’m not tired of pumpkin yet. Love it! Wish I could have one of these for breakfast right now. Could these look any more cuter?? I’ll take seven, please! You can send some of these my way! 😉 I am addicted to the pumpkin/chocolate combo this Fall! Disney World?! I am sooooooooo jealous! I love Disney too, my favorite thing in the world is going to Disneyland during the holidays. It’s like such a magical place. Anyways, these muffins look delicious! I love pumpkin and I can never get sick of it. Especially when I have a freezer stocked with pumpkin puree. Actually it’s winter squash but it tastes the same LOL. This is a great way to use up some pumpkin that I have in the fridge, this would be a delicious breakfast muffin! Oh these look super yummy! And I will NEVER pumpkin out! Keep the recipes coming! Perfect cross-section of your muffin! Your pumpkin muffins look amazing! I am so jealous about the weather! Thank you! We picked a good time to leave since it’s snowing back at home!